The sun was still shining when the stars started appearing in the French city of Lyon. They came from around the world to celebrate cinema through the ages. But the brightest star of the evening was Jane Fonda, a Hollywood doyenne who was honoured for a lifetime of achievement both onscreen and off. During the week-long Festival Lumière, Jane Fonda’s work has been celebrated in screenings across the city. From her first films of the 1960s …to some of her most iconic. 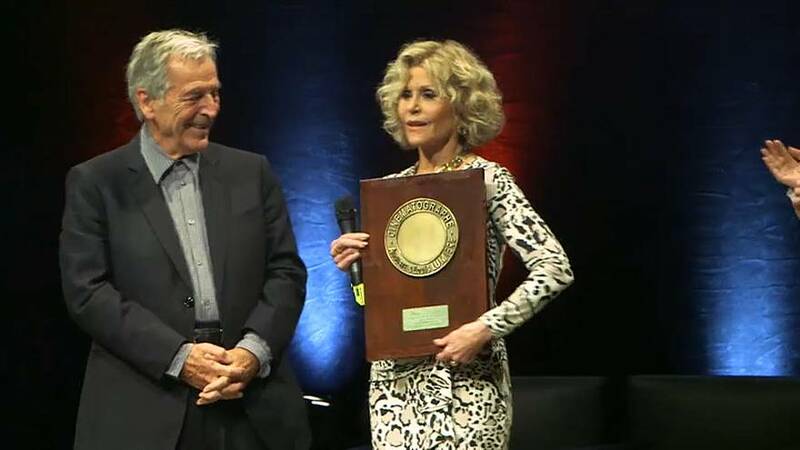 But the Festival’s organisers say they're also celebrating Fonda's political engagement over the past six decades - which shows no signs of abating. She was much-maligned during the seventies for her vocal criticism of the US war in Vietnam…a subject so close to her heart, she made a film about it in 1978, which won her a second Oscar for Best Actress.